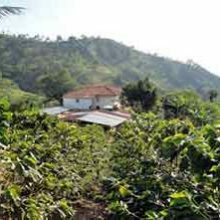 Finca La Cecilia is a farm with a long coffee history, though the current owner, Albeiro Alonso Ramirez only purchased the farm recently, in 2012. 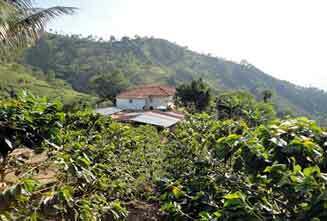 The farm’s previous owner abandoned the coffee plantation due to the low price of coffee, and he then made the decision to sell the farm. It was then that Albeiro Alonso visited the farm, saw its potential, and decided to buy it. He began by undertaking the arduous task of replanting and renovating the farm’s 7.5 hectares of coffee with the aim of increasing crop productivity. He established new plantations and implemented a stabilisation plan to recover the sustainability of the farm. It took years, but he was successful in the end. Today the farm has reached optimum production thanks to Albeiro’s hard work; however, production is only part of the story, as he has also endeavoured to produce quality coffees. His effort is reflected in an excellent cup profile. Albeiro Alonso gives a great deal of attention to the ‘cultural’ works that happen on the farm annually. Agricultural labour ‘in the field’ is where he can really add value and contribute to the coffee’s quality. Activities are as listed below, and these are completed primarily by him and his wife and by one maintenance worker, who works more or less year-round, completing tasks as required. 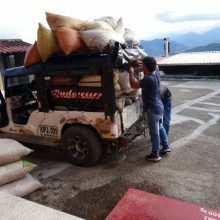 During the harvest seasons (Colombia has two annually) he hires up to two day labourers and a driver to carry the cherry to the Flor de Apía mill, where his coffee is processed. 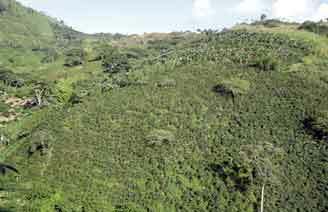 Finca La Cecilia considers Flor de Apía S.A.S as its strategic ally. Although La Cecilia has its own wet mill infrastructure, they choose to use the facilities of Flor de Apía, whose state of the art facilities are preferable for the high quality he aims to achive. The company owns a wet mill locally, and has top of the line equipment, Pinalese equipment that works to conserve the quality of the coffee, every step of the way. The company’s mill has their top of the line facilities at Finca Barcelona, around 35 minutes from La Cecilia. During the harvest seasons, every day coffee is collected there and moved in the afternoon to the mill. When Albeiro Alonso’s coffee reaches the mill, it is sorted by the Pinalese machines twice: first to remove stones and debris and then to remove any non-optimal cherries. The coffee is then pulped and fermented for around 16 hours. Flor de Apía keep strict records of every lot they process, and they have reported that this particular lot was dried in a vertical silo with an agitation system and whose heat source is the husk that results from threshing the coffee. Coffee is dried at around 40 degrees, very slowly (18 hours for this lot). The pre-dried coffee was then taken to roof-top driers (solares) to finish drying in the sun for around 24 hours. 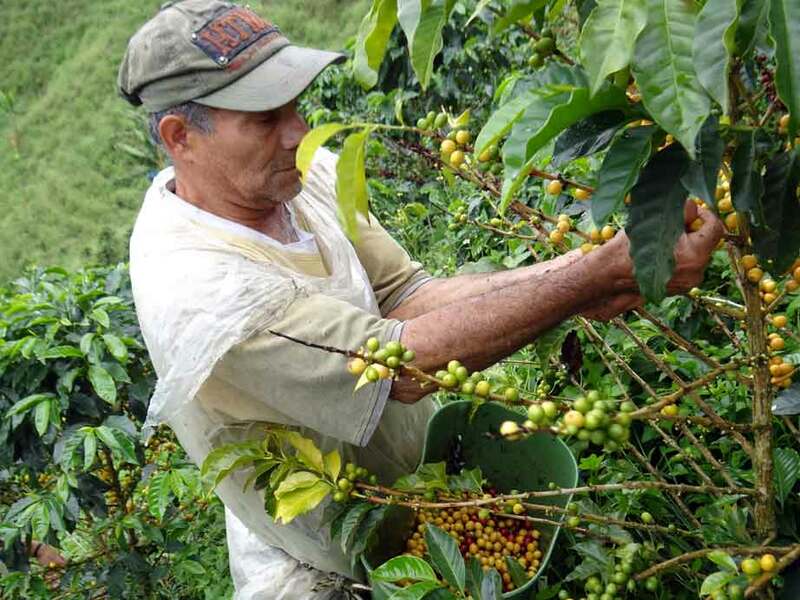 Flor de Apía has succeeded in placing their partners’ coffee on international speciality markets, thus earning small producers, such as Albeiro Alonso, much higher prices for their product. With the resulting profits, the fruit of his work, Albeiro Alonso plans to improve his home so that he and his wife can live more comfortably. Developed over five generations by Cenicafe between 1968 and 1982, the Colombia variety (Variedad Colombia) was the result of successful hybridization of Caturra with the Timor Hybrid. Colombia was developed in advance of Colombia’s first coffee leaf rust outbreak, which hit the country in 1983. Although the new cultivar helped the country’s farmers weather the crisis, Cenicafe suspected that other outbreaks and new diseases were just around the corner. They continued to work towards improvements, and the new arrival of Coffee Berry Disease (CBD) to the country in the early 2000s hastened research methods. The result of this painstaking effort has been the Tabi and the Castillo cultivars. The Castillo variety was officially given to coffee growers in May 2005 and is the flag of the program “Colombia sin Roya” (Colombia without Rust) implemented by the FNC. 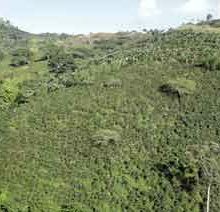 The program is aimed at recovering and renewing the production of high quality coffee in the country. 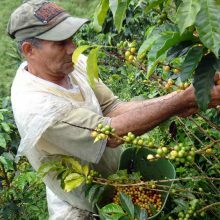 Cenicafe has also developed sub-cultivars from Castillo that bear the added benefit of being particularly adapted to specific agronomic and climatic differences of various regions within the country. 7 cultivars have been developed from Castillo so far, each retaining the main characteristics of the progeny from which they were obtained (Caturra for cup quality and its small size and Timor Hybrid for resistance to coffee leaf rust) and adding one or more new characteristics in each variation for adaptability to particular climates around Colombia. Those cultivars are: Castillo Naranjal, La Trinidad, El Rosario, Pueblo Bello, Santa Barbara, El Tambo and Paraguaicito. Flor de Apía was established in 2010 by Mario Alexander and his then business partner (who has since retired). Mario – originally from Apía, Risaralda - was originally a welder by training. He spent time in France and Spain when he was younger, working in construction and as a gardener. After around one and a half years working in these trades in Europe, he received an offer from a gentleman for whom we was working to return to Colombia and source coffees and roast them for export to Spain. Mario jumped at the chance. The original business partner then retired shortly after. Mario was still committed, however, and he approached the best friend of his ex-partner, Pierre Dumont, a sea captain at the time. Pierre was looking for a change, and he agreed with Mario that there was more opportunity for importing green coffee. A plan was born! Mario purchased two neighbouring farms, Finca Barcelona and El Nivel, and established a wet and dry mill at Barcelona. 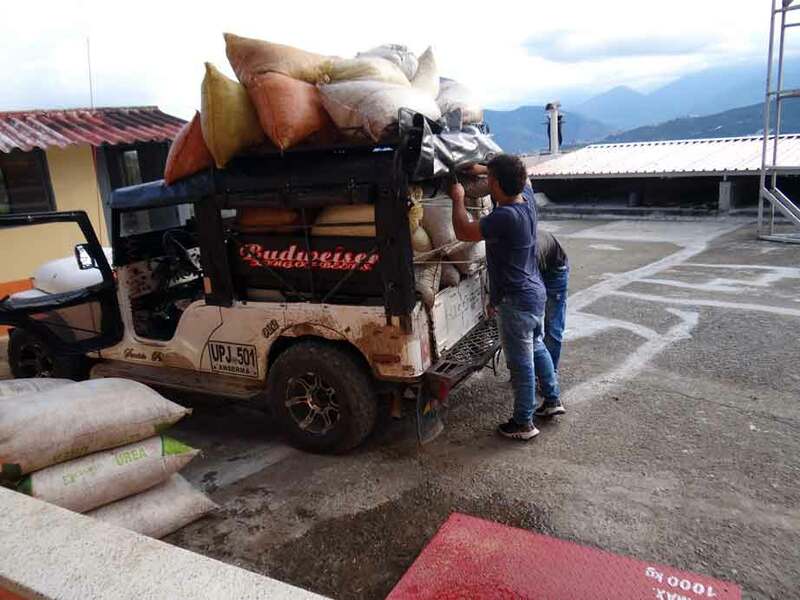 Today, in addition to processing, roasting and exporting their own coffees, Flor de Apía buys cherry and wet coffee from 28 farmers in the municipality. The mill has 8 large capacity fermentation tanks, so they are able to keep individual lots separate, particularly where quality looks to be high. Their farmer-partners also grow a wide selection of varieties, from Maragogype and Castillo all the way to Geisha, Bourbon and Caturra. Flor de Apía makes every effort to encourage farmers to separate their lots by variety and promote rescuing the older varieties (such as Typica and Bourbon) to improve the quality of the region’s coffee.